The prospect of wearing hearing aids can be quite scary, but this could be the key step to restoring your health and comfort. Therefore, visiting an audiologist to gain an accurate diagnosis and advice on the next moves is vital. In truth, no two people are the same, so finding the best solution for your ears and condition is top of the agenda. While the specialist will provide info and support throughout the process, knowing the different types of aids is useful. BTE models get their name from the fact they sit in that position. They amplify the collected sounds into the ear via an earbud, somewhat like a headphone. This allows them to offer greater volume and clarity. 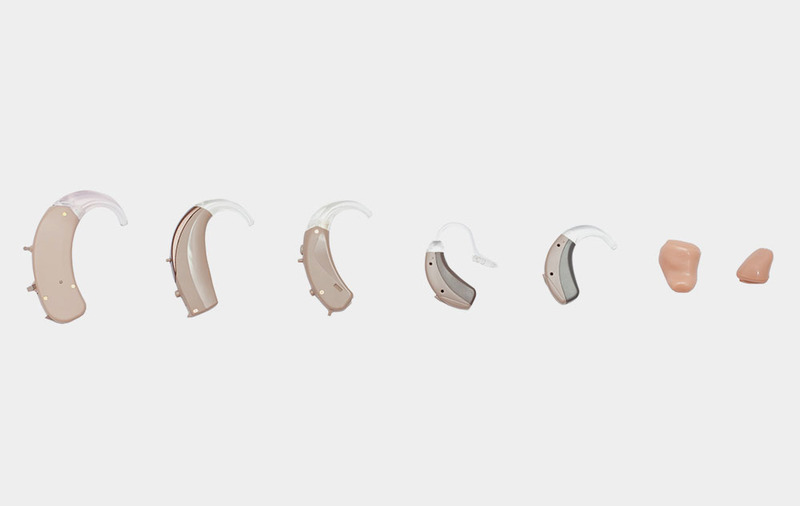 These are best used for moderate and severe hearing conditions and are relatively discreet. In most cases, they can be adjusted with buttons and sound dials. CIC hearing aids are a very good option for mild cases of hearing loss, although they can cope with medium severity too. The designs are customized to the individual, and they sit in the ear to become almost invisible to passers by. This makes them very good for self-conscious sufferers. They can add clarity and help fight symptoms of tinnitus. IIC solutions are exactly this. The plugs are pushed deep into the ear, making them undetectable by outsiders. Due to their design, they need to be custom manufactured to suit your ear. Meanwhile, they do have some restrictions due to sitting in the ear and must also be removed every day. Nonetheless, for mild to moderate conditions, they can be an ideal solution. ITC hearing aids are best used for mild cases of hearing loss. They sit in the canal, although a small part of the custom made instrument will stick out. As these elements can come in a variety of natural skin tones, it remains a fairly inconspicuous solution. They collect sounds before amplifying them as required directly into the ear. In truth, though, the clarity is where this option works best. ITE options aren’t overly visible due to the range of colors. However, they do sit in the outer part of the ear, so can be seen. However, this does make them a great option for severe cases as well as the mild ones. While they still sit in the ear, they can feel a little less intrusive than some of the alternative models. RIC solutions are fairly similar to BTEs, but they are even less visible. The speaker sits comfortably within the ear canal and is easily adjusted. This makes them a winner among new hearing aid wearers, especially those with only minor damage. The clarity offered by these options is particularly pleasing. In truth, there is no one right or wrong option, and the key is to find what works for you. This background knowledge, combined with the support of your audiologist should allow you to do that in style.